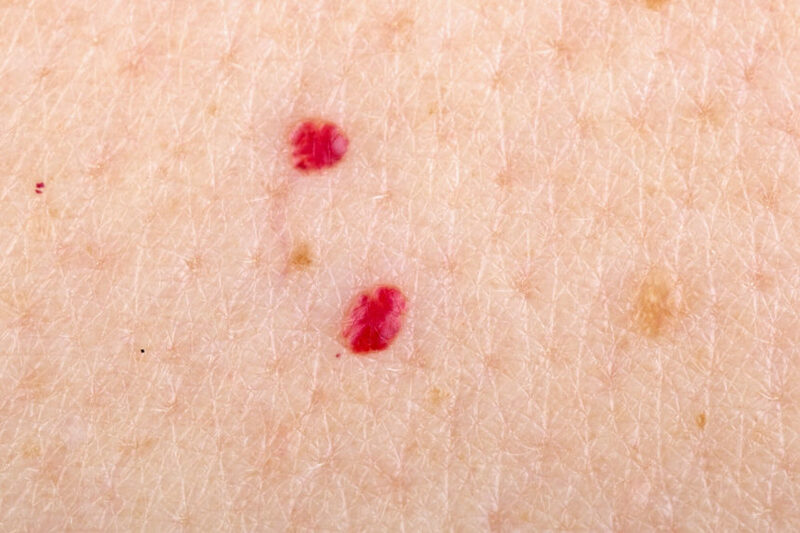 The primary outcome of the study included identifying somatic mutations linked with cherry angiomas. A study recently published in JAMA Dermatology has identified 5 genetic factors contributing to cherry angiomas, supporting the role of genetics in its pathogenesis. Hot spot variants of R183 and Q209 suggest a common genetic family between cherry angiomas and other vascular anomalies. This single-center case series utilized cherry angioma tissue samples from 10 participants whose ages ranged from 26 to 79 years; 60% were women. Samples were paraffin-embedded, formalin-fixed, and sequenced across a collection of 323 cancer-related genes. A large portion of mutations (215 out of 234) were excluded due to poor mapping quality, germline, or evidence of intronic mutations. The primary outcome of the study included identifying somatic mutations linked with cherry angiomas. A functional impact score was assigned to each mutation, with the majority of scores ranging from -2 to 4 and higher scores correlating with higher likelihood of either a driver or functional mutation. There were 5 samples in which 19 somatic missense mutations with high functional impact scores (≥3.5) were identified, occurring in GNA11 (Q209H) and GNAQ (Q209R, R183G, and Q209H). Vascular entities associated with these genetic hot spots include uveal melanoma, blue nevi, hepatic small-vessel neoplasms, Sturge-Weber syndrome, port-wine stains, and anastomosing and congenital hemangiomas. GNAQ/GNA11-wild-type and -mutant samples did not differ in terms of the number of structural variants, though structural variants were higher in female participants (P =.002). Limitations to this study included a lack of separation of specific angioma cell variants from others as well as a small sample size. 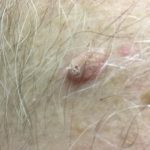 Future studies should include additional samples as well as the prospective biopsy of several lesions on one participant.